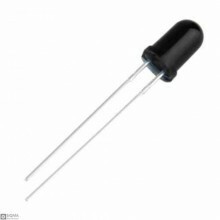 Features:IR Remote Control ReceiverBuilt-in Filter at 38KHzWide operating voltage range: 2.7V to 5.5.. 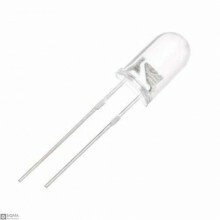 Features:Emitted Colour : Infrared.Size: 3mm.Lens Color : BlackVoltage (V) : 1.2-1.4V.Wavelength (nm.. 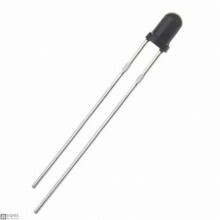 Features:Colour : Infrared.Size: 3mm.Voltage (V) : 1.2-1.4V.Wavelength (nm): 940nm.Package Include:1.. 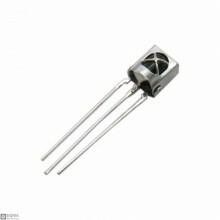 Features:Colour : Infrared.Size: 5mm.Lens Color : BlackVoltage (V) : 1.2-1.4V.Wavelength (nm): 940nm.. 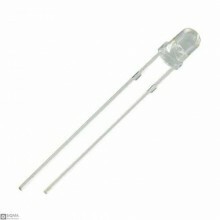 Features:Colour : Infrared.Size: 5mm.Voltage (V) : 1.2-1.4V.Wavelength (nm): 940nm.Package Include:1..